A roof bolter secures the roof of a newly mined section of a coal mine. Studies show roof bolters sometimes have high exposure to the silica dust that is especially toxic to lungs. 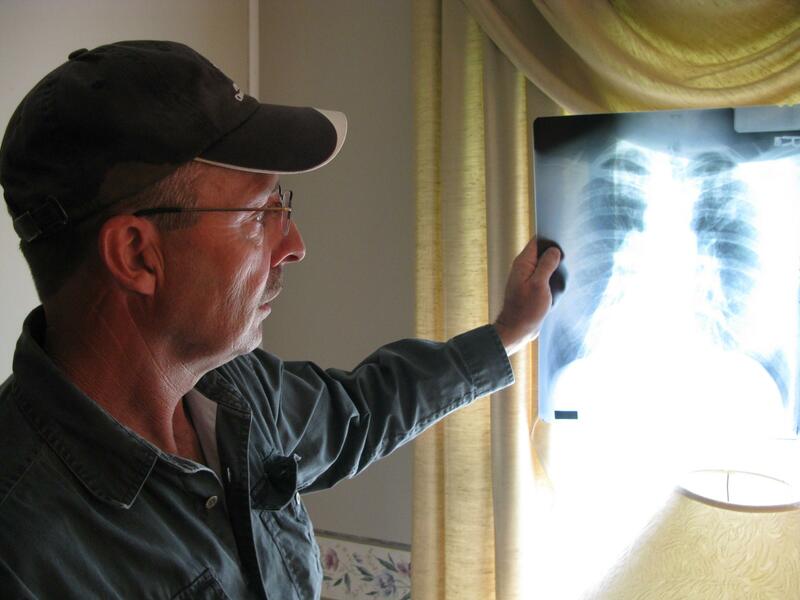 Retired coal miner Mark McCowan reviews an X-ray of his diseased lungs at his home in Pounding Mill, Va. McCowan has progressive massive fibrosis, the worst stage of black lung disease. New and tougher rules designed to protect coal miners from the coal and silica dust that causes the fatal disease black lung may not be enough to stem an "epidemic" of the worst stages of the disease or the highest rates of disease in Central Appalachia in 25 years. That's the conclusion of a review of the federal government's latest efforts to keep coal miners from being exposed to excessive and toxic amounts of the dust they create as they cut into coal seams. The review, released Thursday from the National Academies of Sciences, Engineering, and Medicine, notes that coal mine operators comply with the new dust control regulations at a rate of more than 99 percent, but "these approaches may not guarantee that exposures will be controlled adequately or that future disease rates will decline." The NAS review committee of mining experts says "a fundamental shift is needed in the way mine operators approach exposure control," including "beyond compliance" efforts that exceed the safety requirements of federal rules and regulations. The new dust control measures were imposed by the federal Mine Safety and Health Administration during the Obama administration and took full effect in August 2016. They require a select number of miners to wear dust-sampling devices that can monitor coal dust exposure in real time. Previously, samples could take weeks to analyze. The real-time monitoring gives the miners and mine operators the chance to adapt so that workers are exposed to less dust. They can boost ventilation that sends clean air through the mine to sweep away dust. They can increase the amount of water sprayed on the coal seam as mining machines dig into the coal. They can slow mining machines so they produce less dust. And they can move exposed miners to areas with less or no dust. But the NAS committee found that dust readings may still be inadequate because they "may not be representative of the dust exposure to others not wearing the device." 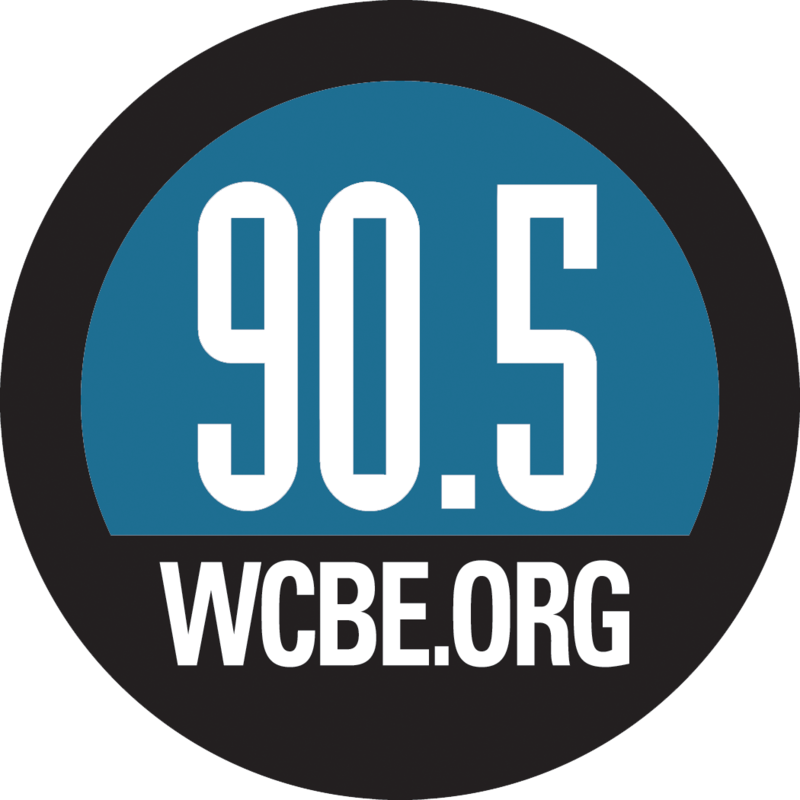 "We still have to sample more people and we have to sample them more frequently," says Dr. Robert Cohen, a pulmonologist and black lung researcher at the University of Illinois, Chicago, who reviewed drafts of the report. Also, the new dust monitors do not provide real-time sampling of silica dust, which is created when mining machines cut into sandstone and is far more toxic than coal dust alone. Cutting sandstone has occurred more often in Central Appalachia as large coal seams are mined out and the thinner seams that remain have sandstone mixed with the coal. The NAS report calls for the development of a real-time silica dust sampling monitor, and the National Institute for Occupational Safety and Health is trying to invent such a device. So far, NIOSH has produced a monitoring system that provides silica exposure results at the end of a miner's shift. It is expected to be available to mining companies for voluntary use soon. Rep. Bobby Scott, D-Va., the ranking Democrat on the House Committee on Education and the Workforce, wants MSHA to require use of the new end-of-shift monitors. "Mine operators do not have to monitor for silica exposure to miners, and MSHA only samples for silica four times a year, " Scott says. "If MSHA were to require operators to use this sensible technology, it would help save the lives of the miners it is charged to protect." 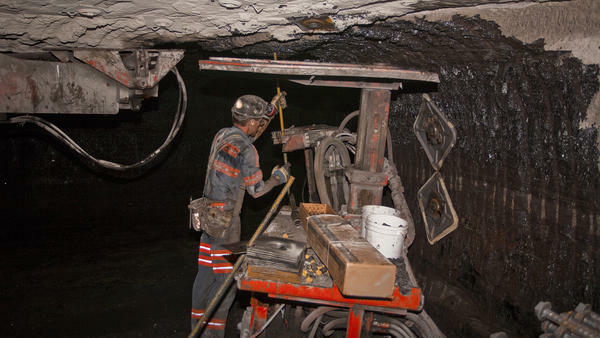 MSHA chief David Zatezalo, a former mining company executive and industry lobbyist, told Scott in February that "MSHA is working with NIOSH to determine the accuracy and the reliability of any end-of-shift monitoring technology." The National Mining Association, which represents coal companies, said in a statement that its members "have been pursuing a 'beyond compliance approach' for decades" but added "we are in absolute agreement that more must be done to significantly enhance health protection for our nation's coal miners." MSHA spokeswoman Amy Louviere, asked for comment on the NAS report, said: "We will be reviewing the report thoroughly before making any public comment." The NAS review was sought by Republican members of Congress and was mandated in a 2016 appropriations act. That raised concerns that "there might be some aspects of the report that might be used to undermine and roll back these regulations," says Cohen, the black lung researcher. But "it didn't have that in there," Cohen adds. "In fact, it really recommended people going further than the current regulations." NAS committee member Emily Sarver, an associate professor of mining and minerals engineering at Virginia Tech, notes that black lung disease has a long latency period and so the effects of the new mine dust regulations, including the high industry compliance rate, will take time to be fully understood. "Coal mine ... dust diseases generally take on the order of 10 or more years to be diagnosed from time of exposure," Sarver says. "What the committee is saying though is it may be a number of years before we know, does that result in a decreased incidence of disease?"